Enhance your notebook, tablet or smartphone, utilising USB-C or USB-A connectivity. This Thunderbolt 3 compatible USB-C dual monitor docking station features the latest DisplayLink DL6950 chipset and offers the flexibility of both USB-C and USB-A host interfaces (cables included). The unit is equipped with four graphics outputs, 2x HDMI, and 2x DisplayPort, although a maximum of two monitors can be supported simultaneously. Connect two monitors simultaneously and enjoy the higher 4096 x 2160 resolution @ 60 Hz, using any interface configuration (DP + DP, DP + HDMI, HDMI + HDMI). 5K resolution (5120 x 2880 @ 60 Hz) is supported when a single monitor is connected via two DisplayPort cables. 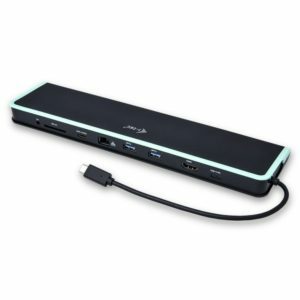 6x USB-A 3.0 ports (USB 3.0 / 2.0 compatible) make it easy to connect all of your existing hardware and Gigabit Ethernet RJ45 port provides reliable, robust and high-speed internet connection, supporting 10/100/1000 Mbps speeds. 3.5 mm audio jacks can be found on the front panel and an easily accessible power-saving on/off switch can be found on the rear panel. The addition of a Kensington lock slot provides additional security, especially for those working regularly in public spaces. i-tec docking stations are compatible with the vast majority of notebook brands and platforms, making it easier than ever to connect your favourite hardware. The unit is extremely compact, perfect for use at home or in the office. Due to the hybrid interface option especially hot desk use, due to the USB-C or USB-A interface options. 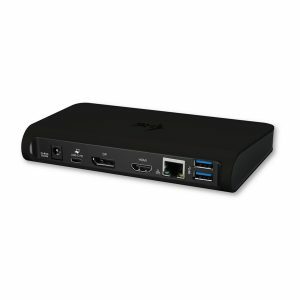 This docking station is suitable for use with MacBook Pro 2016, Macbook 2015, Chromebook Pixel 2015, Acer Switch Alpha 12, Acer Switch Alpha 13, Dell XPS 13, HP Elitebook Folio G1 and ASUS UX390UAK, as well as other devices with USB-C connectivity. Please make sure to check a compatibility of your device, whether it meets all the requirements for an operation of the specific i-tec product, especially video output (Display Port Alt mode), and/or Power Delivery. If your device would not be fully compatible, your new i-tec product may not operate correctly. 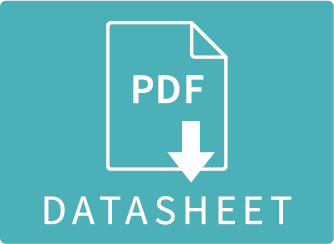 You may find the specifications your device (i.e. USB port), in a user manual supplied with your notebook/tablet/smartphone, or – alternatively – via customer service provided by a manufacturer of your device. If still uncertain, however, contact our service at support@itecproduct.com. OS: Windows 7 / 8 / 8.1 / 10 32/64 bit, Mac OS X, Linux Ubuntu 14.04 / 16.04, Android 6 and later. Windows 10 – automatic installation of drivers from OS. Other OS – manual driver installation is required. Automatic firmware upgrade. Operating system: Windows 7 / 8 / 8.1 / 10 32/64 bit, Mac OS X, Linux Ubuntu 14.04 / 16.04, Android 6 and later. Windows 10 – automatic installation of drivers from OS. Other OS – manual installation of drivers is required. Automatic firmware upgrade. Extended office and home use (Word, PowerPoint, Excel and 2D application e.g. Photoshop); 2 external monitors for desktop and applications with resolution up to 4k. Recommended video: 1x 2K and 1x 4K. Data transfer/recovery on e.g. external HDD is recommended on two of the USB ports. (Video in 2x 4K may cause low FPS and/or slow down the OS and running application response). Universal use (all types of applications, incl. 3D e.g. CAD), video and desktop in 4K, all USB ports may be used for data transfer/backup/recovery. Intel Core i5: Extended office and home use (Word, PowerPoint, Excel and 2D application e.g. Photoshop); 2 external monitors for desktop and applications with resolution up to 4k. Recommended video: 1x 2K and 1x 4K. Data transfer/recovery on e.g. external HDD is recommended on two of the USB ports. (Video in 2x 4K may cause low FPS and/or slow down the OS and running application response). Intel Core i7: Universal use (all types of applications, incl. 3D e.g. CAD), video and desktop in 4K, all USB ports may be used for data transfer/backup/recovery. Operating Software Windows 7 / 8 / 8.1 / 10 32/64 bit, Mac OS X, Linux Ubuntu 14.04 / 16.04, Android 6 and later. Windows 10 – automatic installation of drivers from OS. Other OS – manual installation of drivers is required. Automatic firmware upgrade. Question: The video output (HDMI, DisplayPort, DVI …) does not work after connecting to my MacBook even after installing the DisplayLink drivers. Question: I have a MacBook with an external 4K monitor connected. In native 4K resolution, the icons are too small, I want to change the display resolution on the monitor, but the image is either blurry or the cursor response is slower. Answer: Unfortunately, this is a problem with the DisplayLink driver. DisplayLink is working to fix this problem, unfortunately, currently we do not know when this problem will be fixed. Question: I have 2 external monitors with built-in speakers. When these monitors are connected to a docking station, both of them play the same sound. Can I set up which monitor will play the sound? Answer: Unfortunately, it is not possible to select a monitor to play the sound. At this time, the only option is to turn it off directly in the monitor settings. Question: How many maximum external monitors does DisplayLink software support? Android – supports maximum 1 external monitor. Additional connected monitors will show the same image as the first connected monitor. Question: After the update of the Windows operating system the docking station does not work. Disconnect the docking station / video adapter. Download and run DisplayLink Installation Cleaner – it can be downloaded in the “Manuals, Drivers” section. Download and install the latest DisplayLink drivers – these can be downloaded in the “Manuals, Drivers” section. Reconnect the docking station / video adapter. Question: The graphic / video editing program (such as Adobe Photoshop) does not work properly on an external monitor connected to the DisplayLink device. But on the laptop’s internal display it works properly. What is the reason and can I fix it somehow? Answer: It is possible that such programs mistakenly assign the tasks for internal graphics of the computer to the graphics adapter of the docking station and this causes the problems. In this case, you need to disable the graphic acceleration directly in the affected program settings. In different programs, this function may be named differently. Then we recommend restarting your PC / laptop. Question: When I close the laptop lid, the laptop turns off. Is it possible to prevent it? Windows has a special setting which controls what the laptop should do in case of closing the lid. This setting needs to be changed. Right-click the Start button and select Power options. From the options on the right, select Other power settings. A new window opens, and here from the left menu, select Choose what closing the lid does / When I Close the Lid and select Do nothing. In macOS there are 4 conditions to be met to avoid turning off the MacBook. The MacBook needs to be connected to the power supply, an external keyboard, mouse, and monitor must be connected. Then you can close the MacBook lid and work with an external monitor only. Question: I cannot set a 4K 60Hz resolution on the monitor. In case of connecting via HDMI your HDMI cable supports 4K 60Hz. This is supported only by the HDMI cables version 2.0 and later. Some monitors / televisions may also have an option in the settings which needs to be turned on. In case of connecting via DisplayPort your cable supports 4K 60Hz. This is supported only by the DP cables version 1.2 and later. Also, be sure that in the settings of your monitor is selected the setting DP 1.2. In case you don’t know where to find it please refer to the manual for your monitor. Question: Can the monitor connected via the docking station use the graphics technology from nVidia/AMD/Intel? E.g. G-sync, or FreeSync. Answer: The docking station cannot use the graphics technologies from nVidia/AMD/Intel. Question: Is it possible to set the frame rate to 120 Hz (144 Hz etc.) with the docking station / video adapter? Answer: This is not possible. The docking station can handle maximum 60 Hz. Question: Is it possible to connect a touchscreen monitor? Answer: This is possible, but in this case i-tec Technologies cannot provide technical support because it is the technology of the monitor manufacturer. Question: The image on the connected monitor flickers. Answer: Please try a better HDMI/DisplayPort cable, this can solve your problem. Question: Can I use a reduction to convert the signal from DVI/HDMI to DisplayPort? Answer: Signal conversion from HDMI to DisplayPort is possible, but only in case of using the active (powered) adapter. In any case, a passive (non-powered) cable/adapter cannot be used. The passive cables/adapters can only convert the DisplayPort signal to HDMI. Question: The USB/Thunderbolt 3 cable is too short for my needs. Can I use a longer third-party cable? Answer: Yes, it is possible. Please see the table below. Here you can see maximum cable lengths according to USB/Thunderbolt 3 specifications. Longer cables may not work properly. Also, for USB-C and Thunderbolt 3 cables, you need to make sure they support DisplayPort Alt Mode (UBS-C only) and Power Delivery (USB-C and Thunderbolt 3) profiles. In case the docking station need it for its operation. Question: What is the function of the shutdown button if it cannot turn on/off the laptop? Answer: The on/off button is used to turn the docking station on/off. Question: I have attached speakers/headphones in the docking station’s audio connector, but they do not play any sound. Answer: Right click the Start button and select an option Settings. Here select System and from the menu on the left select Sound and change here the Output device. Question: I use a docking station in the office/business, and if I plug the Ethernet cable into the docking station, I can’t connect to the internet/local area network. But when I plug this cable into the LAN connector in the laptop, everything works properly. Answer: In some cases, the businesses limit the LAN/local network connection only to the network elements with a known MAC address (each LAN connector has its own MAC address). 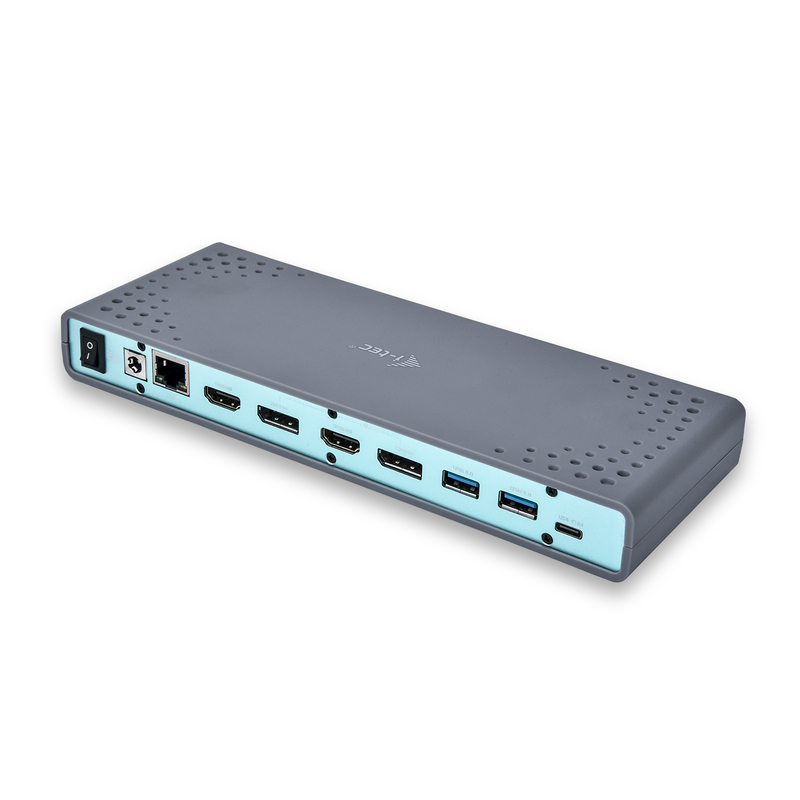 Question: Can the docking station charge the laptop via USB 3.0 connector? Answer: From a technological point of view, the USB 3.0 specification does not support laptop charging via the USB 3.0 connector. Question: The docking station does not charge a laptop which supports charging via USB-C.
Answer: This docking station is not able to charge your laptop. The docking station is built on an older USB 3.0 chipset which does not support USB-C Power Delivery. Question The external monitor will not wake up after waking up my laptop. Answer Try changing the monitor’s input setting from AUTO to a fixed monitor input. then the monitor may sleep so that it fails to respond to the signal from the docking station port. Question: Does this docking station/video adapter support an audio signal transfer over HDMI or DP? Answer: Yes, if your monitor (projector) has integrated speakers, it is possible to transfer the audio signals via HDMI or DP cable. In your OS settings, however, you must change your default audio playback device. Question: What are the requirements for the primary graphics cards for use with graphics chipsets in i-tec graphics adapters and docking stations? Answer: The graphics chipsets in i-tec products are secondary (additional) graphics cards in a PC. They need a primary graphic card installed for their functionality. Note for Windows 10 and later: In these operating systems, the graphics driver only works depending on the primary graphics cards: Intel, NVidia, ATI/AMD, VIA. It can’t work with SiS or Matrox graphic cards. Question: On my MacBook 13” / 15″ 2016 and later, my WiFi or Bluetooth stops working, or the USB 3.0 devices connected to the docking station disconnect. Where is the problem? Question: The image on the screen connected via the docking station flashes. Answer: If you experience this issue, you may only have an improper setting of the monitor refresh rate. If you have setting of 59 Hz, please set to 60 Hz. 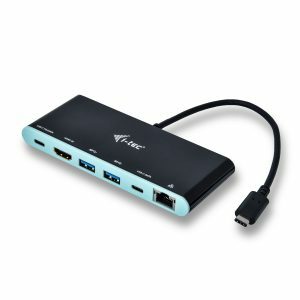 Question: Can I use this docking station/video adapter also via the Thunderbolt3 port? Answer: Yes, the USB-C docking station/graphics adapter can also be used via the Thunderbolt3 port. Only the Power Delivery may not work, but it depends on the TB3 features of your laptop. Question: There is no working LAN connection on my Android. Answer: The Ethernet connection must be supported directly by the tablet manufacturer. You can easily verify the support in the set-up “Network Connections” – “Other Networks” – and the option “Ethernet” must be located here. Question: Everything works fine, but it only shows the speed of 10 Mbps. Where is the problem? Answer: Verify all the cabling between the PC/laptop and the active element and push the RJ-45 connectors. Sometimes can also help replacing the Ethernet cable between the adapter and the active network element (hub, switch, router) with a certified one. A solution can also be setting a specific value (instead of Auto Negotiation) in the properties of the network adapters, Speed & Duplex option.